Mommy would always tell us that "breakfast is the most important meal of the day." Well, what she forgot to mention is that it can also be the most exciting one too. You see, I normally wake up feeling hungry that the first question that enters my mind is "what should I eat this morning?" So, it is always so exciting for me to plan what should I have for my first meal of the day. Gone are the days wherein I would have rice for breakfast. Perhaps, the only times I'd have my ever-reliable silog is when I'm in Manila. Living here in the Lion City, I've become more conscious of what I eat and that includes getting into the habit of starting my day right. While I love my two breakfast options dearly, I have to admit that it can get tiring to have this every single day. Luckily, my friend D and I chanced upon Whole & Hearty which is located at the Icon Village, just a few skips away from our office. 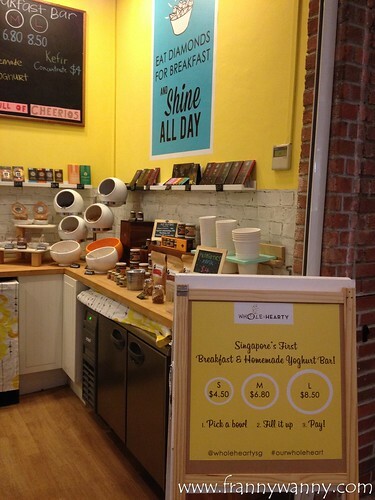 Whole & Hearty is a breakfast buffet bar where you get a wide selection of homemade yogurt, oats, a multitude of nuts, peanut butter and fruits! The drill is simple. All you have to do is to decide which bowl to get. There are three sizes for this: small (S$4.50), medium (S$6.80) and large (S$8.50). How I went about this is I started by filling the base of my container with yogurt. I love yogurt so I filled it up till it covered one-third of my bowl. After this, I add a generous scoop of the special Beenut Butter which is a homemade mix of honey and peanut butter. Since the yogurt was quite sour, this gave the sweetness that I happily welcomed. 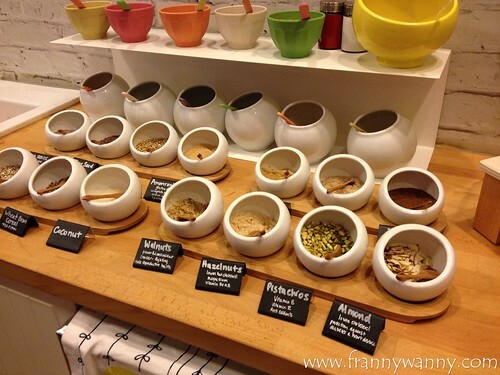 Next was to mix in all the nuts and seeds that your heart desires! My favorites include: buckwheat, chia seeds, almonds, pistachio, flaxseeds. Each comes with its own benefits but I mainly focused on those that lowers cholesterol, blood pressure and has a good amount of folic acid too! 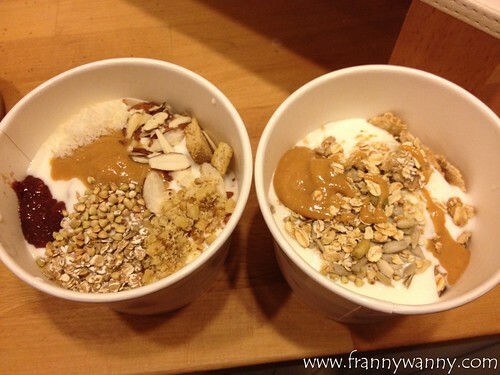 After I have added in all the nuts and seeds, I topped my bowl with a few scoops of granola. I really like getting that extra crunch in contrast to the silky smooth yogurt. 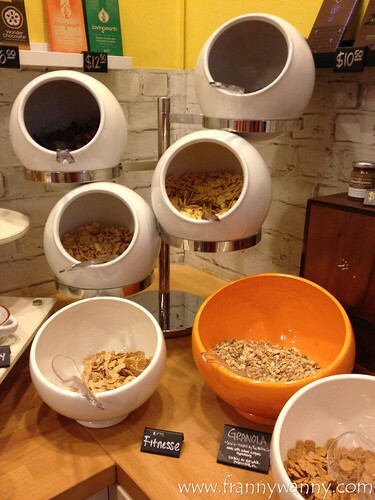 They also have a couple of cereals for your to choose from too. No weighing involved here and all you have to do is to proudly bring your bowl of yogurt to the cashier to pay. Well, you know that D is my favorite 1-for-1 buddy and so we availed of The Entertainer App's special December promotion where we just have to pay for one medium-sized bowl and we got the other one for free! What a great deal. We're glad that we finally were able to try Whole & Hearty. One visit was enough to turn us into fans! In fact, we've been back twice already just for this month alone. Expect that this will be our regular go-to place for breakfast from now on. What more, we were just told that they will be part of the Entertainer App 2015 edition which D and I have subscribed into already. 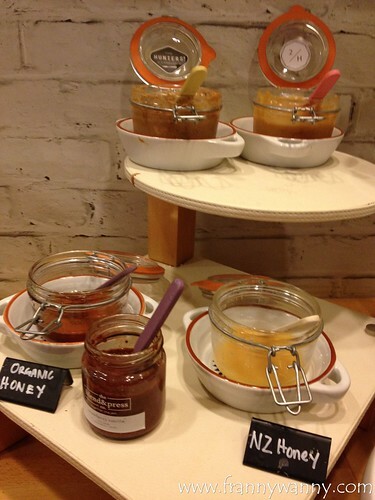 Check out Whole & Hearty inside Icon Village, Gopeng street, Singapore. Like them on Facebook! looks really good! a nice break from kopi c and char siew bao!